Courageous, tough and a mighty skilled baker, Princess Peach is the leader of the Mushroom Kingdom. Who doesn’t love the umbrella wielding superstar? Having featured in a tonne of Mario adventures, sporting sessions and her own spin-offs, Princess Peach is a true contender for one of the most celebrated gaming faces. We love her regal design and iconic look, and wanted to bring a dash of royalty to our geeky t-shirt collection! 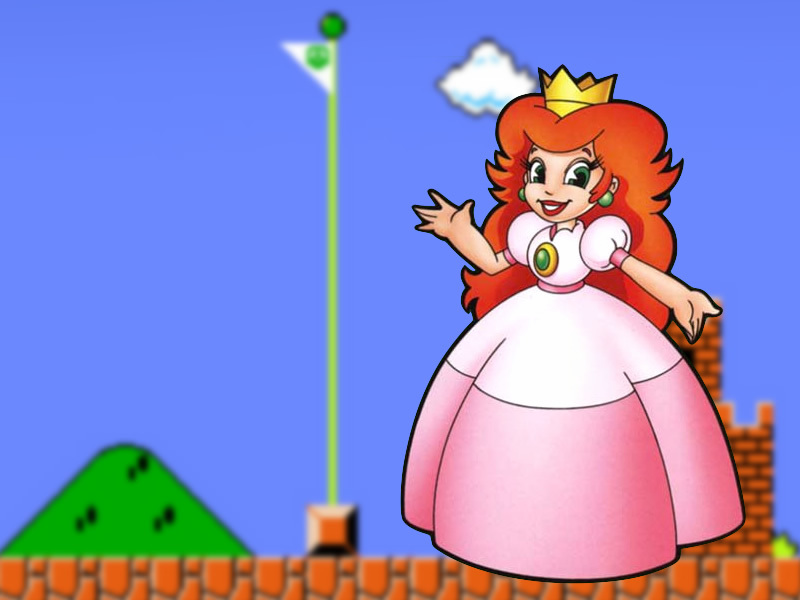 Princess Peach started a strawberry blonde hero in early prototypes, known in Japan as “Peach” but “Toadstool” in the West. She didn’t have the signature pink look, but a white dress and even red hair in some early concepts. 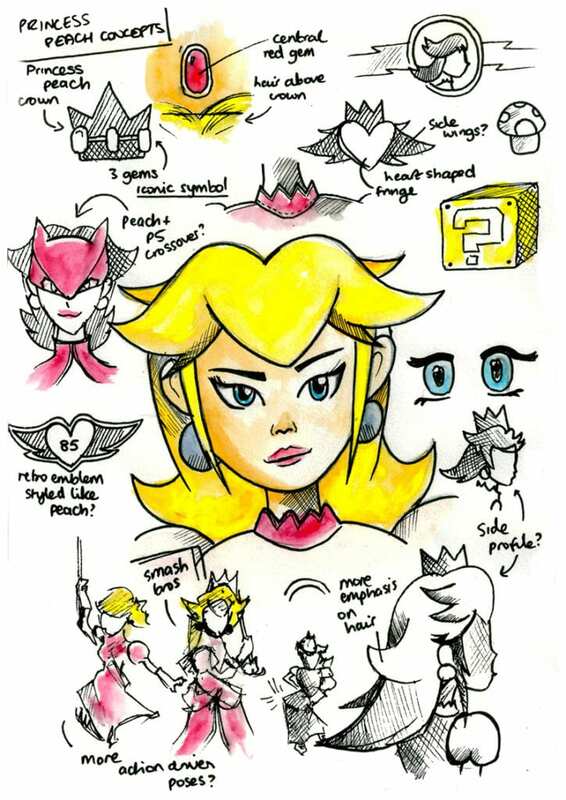 It wasn’t until Super Mario 64 when the name “Princess Peach” became canon in the west! Her name forever stitched into a letter Mario gets at the very beginning of the game. Her old Toadstool moniker retired deep into the shadows. Peach is occasionally seen to be kidnapped by the devious Bowser, but does nab the starring role from time to time. In Super Mario Bros. 2, she joins Mario’s quest to save the land from the devious creature, Wart, introducing her signature move – the ability to hover for a short time! We couldn’t wait to get started on a few concepts for the new Princess Peach tee. Inspired by her more recent looks, and the classic NES sprite, we brewed a handful of ideas; including silhouettes, mushrooms and even that powerful parasol! Princess Peach has such a familiar crown that’s a big part of her overall look that we just had to make it the central part of our tribute! One of the most familiar appearances has to be her shining stained glass window in Super Mario 64. 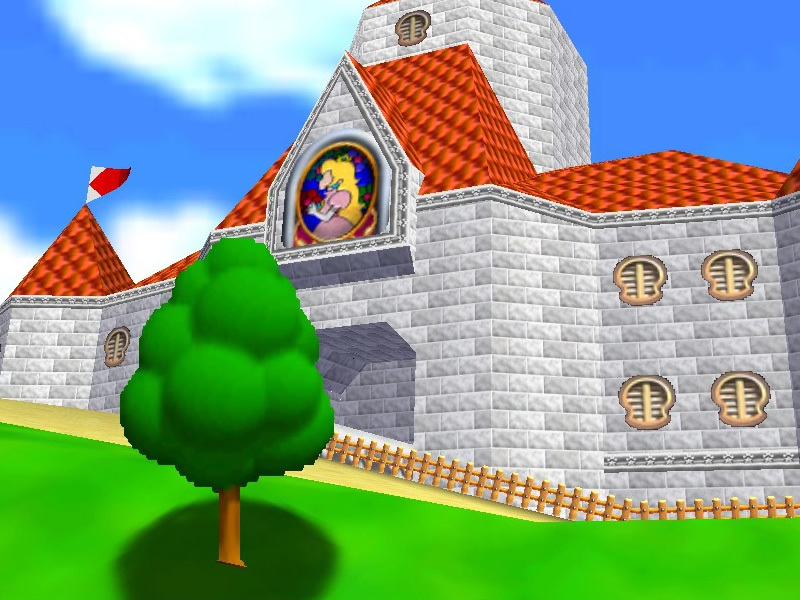 Sitting a-top the Mushroom Kingdom castle, the legendary frame can be seen across the land! How about a pixel version? The most important part of the design process is finding out which tee gets that all important vote! It’s a great feeling to be working together with the community to brew fresh designs – and part of what makes designing new clothes such a rewarding thing. So we did just that and put various different Princess Peach designs to the vote on Instagram! And it was a draw! The vote ended up extremely close, with two very different looks taking the top spot. So how about a little dollop of fusion? As if Princess Peach swapped out her blue gems with Potara earrings and the two winning designs blended together to form something new. Dubbed Her MajesTee, this look is all about showcasing Peach’s power through punchy pink text and blending it with a magnificent pixel take on her castle window! 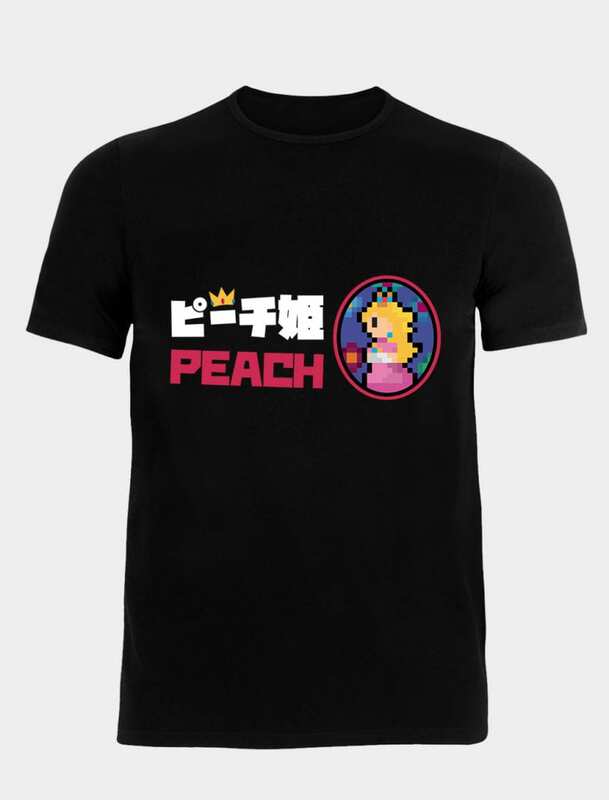 Our Peach-inspired design Her MajesTee Princess Peach shirt is now available – for a limited run!